The sword is the soul. Study the soul to know the sword. Evil soul, evil sword. Our mission is dedicated to popularisation of this sport by involvement of new people and creation of fair competition between kenshi in Moscow, Russia and worldwide. Moreover we just love kendō and would love to share our experience with you! We are high qualified kenshi from Russia. Most of us have 5 – 15 years experience of practicing martial arts, kendō in particular, and we have rewards for participation in national kendo championships. Anya has about ten years experience in kendō. Very strong lady! She is a chūdan player. He has about ten years experience in tameshigiri and kendō. He is a jōdan player. Ivan has about twelve years experience in kendō and vast of experience in other martial arts. He is a nito-ryu player. He also manages Strela Promotion MMA team. Kendo is a traditional Japanese martial art, which descended from kenjutsu and uses bamboo swords and protective armour for duelling. Nowadays it has become more similar to the fencing. But which is most important plenty of people practice kendo everyday worldwide. This gives a great opportunity to meet new acquaintances and see the world! Our dojō belongs to Russian Kendo Federation which is a branch of the European and International Kendo Federation (FIK). If you have any questions regarding kendō, please send us an e-mail to kendo@kaminarikan.org! Today, naginata is most often practiced in the form of a sport, which in Japan is governed by the All Japan Naginata Federation (AJNF). It is most common in Japan for this sport to be practiced by women at the collegiate level. Outside Japan naginata is practiced in Europe, Australia and America. Our dojō is a branch of Russian Naginata Association which belongs to the International Naginata Federation (INF). If you have any questions regarding naginata, please do not hesitate to send us an e-mail to naginata@kaminarikan.org! Japanese martial art which focuses on demonstrating swordsmans' skill wielding a katana and testing the quality of it by cutting a special target with density of the material which equals to approximate that of bone and flesh. Tameshigiri is practicing within our dojō time to time only by kenshi whose skill is trustworthy enough. If you have any questions regarding tameshigiri, please do not hesitate to send us an e-mail to tameshigiri@kaminarikan.org! We have small but cozy space for everyday practice! Everything kenshi can ever need in one place. Located between two metro stations not far from the city centre. The name KAMINARIKAN is dedicated to Raijin (雷神) - a god of lightning, thunder and storms in the Shinto religion and in Japanese mythology. He is typically depicted as a demon-looking spirit beating drums to create thunder. In Japanese art, Raijin is known to challenge Fūjin, the wind god, as it used via cover picture - Fūjin-raijin-zu by Tawaraya Sōtatsu, with Raijin shown on the left and Fūjin on the right. Our dojō is about 85 square meters with traditional bogu wall hooks and an armory room. It has fine kendo floor and nice layout. The dojō wall, according to tradition, is decorated with the patron god image - Raijin along with his friend Fujin.  There is the law in every martial art - 礼に始まり、礼に終わる ("rei ni hajimari, rei ni ovaru", "everything begins and ends with a bow"). Since the rei also has the meaning of “respect" or "courtesy" this saying also means - start with a bow to show respect to your opponent, and end with a bow to show respect to your opponent. The kendō equipment is very important thing. It is not just “stuff" but an instrument which helps to improve oneself. Kenshi has to treat such equipment with duly level of care and esteem. You have to be physically and mentally prepared for every duel you face. As they say - even if one's head were to be suddenly cut off, he should still be able to perform one more action with certainty. 無心 ("mushin") is a mental state in Zen practice, as well as in martial arts. The term is shortened from 無心の心 ("mushin no shin"), an expression meaning the mind without mind and is also referred to as the state of no-mindness. That is, a mind not fixed or occupied by thought or emotion and thus open to everything which helps to achieve victory during every keiko. Kendō has variety of sword stances (“kamae") which makes it complex and interesting marshal art due to necessity of understanding different techniques from both sides. Daria Litunenko, kenshi from St. Peterburg, founded Russian Naginata Association in 2014 to make popularisation and expansion of this martial art possible in Russia. Our dojō has taken the baton in Moscow. Copyright © 2014-2018 - 修武館 サーペ Shyubukan (St. Petersburg). Here's a general schedule of our dojo. Feel free to join us! But please give us a call before showing up. Just give us a call specifying exact day and martial art you would like to join. Please consider coming at the latest 20 minutes prior keiko. The first 2 trainings are free of charge! Very simple! You have to be at least 18 years old to participate in keiko. If you are younger (11-17 years old) you have to provide consent by one of your legal guardians. You do not need any special physical training, common level will do. You just need simple sports uniform for your first keiko, we will provide you with the rest equipment in the beginning! Though, in time you might like to purchase your own equipment. You can use the following reliable stores. Shogun Kendogu - top quality Japanese kendō store (free shipping, bogū customisation & repair services + discount). Kendo Bogu - Japanese kendō store (cheap and high quality shinais, free shipping). Tozando - huge high quality Japanese budō store (kendō and naginata equipment available). All Japan Budogu - Japanese kendō and naginata store (free shipping). Kendo Star - UK kendō store (good quality & free shipping). Kendo Shop - Korean kendō store (cheap and fair quality equipment). Hanshin KEC - Korean kendō equipment. Eastern House - tameshigiri equipment store located in Moscow (vast variety of shinken and nihonto, also repair and sharpening services). Kendo-guide is the most complete kendō FAQ for beginners available via internet. Including instructional kendō videos and explanation on most common cases. Kenshi 24/7 is a practical blog about kendō in English. It contains plenty of useful and unique information and references to kendō literature and articles. European Kendo Federation (EKF) website contains every active personal dan-grade by country, including Russia. 2018-2019 KAMINARIKAN 雷館 ™ — All rights reserved. No part of this publication or materials may be reproduced, distributed, or transmitted in any form or by any means, including photocopying, recording, or other electronic or mechanical methods, without the prior written permission of the owner, except in the case of fair dealing or brief quotations embodied in critical reviews and certain other noncommercial uses permitted by applicable copyright law.